Do you want to be wealthy or to be able to at least retire comfortably? You need to do this one thing – invest! You can invest in the stock market, properties, businesses, precious metals (gold and silver), and other alternative investments of value. Rich people save, invest and re-invest. While poor people spend and spend more. But, many people think that investing is hard. In this article, you will find out, investing is not that hard and anybody can invest. To be rich! Financial freedom! Financial independence! To retire early! Achieving these ends are not guaranteed but you definitely would have a much better opportunity to achieve these than those who never invest. All financially successful people invest, be it in the stock market, properties or businesses. Many people know that investing is good. Yet, why do so many people not invest? One main reason quoted, among others, is because they think that investing is a hard thing to do, “Investing is only for the elite. Investing is for the savvy stock traders.”. Investing is simple but difficult. Anything worth achieving is never pleasant. And, investing is definitely worth it. Warren Buffett will attest to that. His successful life has revolved around investing until he is now a billionaire worth around USD90 billion! Before we talk about the 10 tips, we will investigate why people think investing is hard. Why do People Think Investing is Difficult? Fear – too many real-life stories of investment scams (such as the Enron and Ponzi) or financial crises. Scared to commit into investing. You’re parting your hard-earned money, so you don’t want to lose it. While some of these are legitimate concerns, it need not stop you completely from investing. Such concerns are mini hurdles you can overcome with thoughtful planning, discipline, and focus. “Keep it simple”. Applied this life philosophy to your investing principle as a beginner. Treat your investment income as a side hustle. Experiment with it, start early with a small sum. The best approach to understand anything is acting on it. Nevertheless, when starting something new, always have a plan. Don’t start blindly without doing your homework and do it systematically. Everything has a process and investing is no different. Know your financial inside out before you jump into investing. 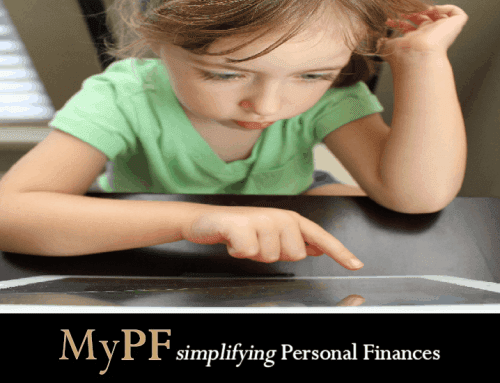 Discover your fixed and variable expenditures and calculate the best amount to allocate for investing. Don’t worry too much on the amount for investment. Investing doesn’t need a significant amount to start. For the first investment, start with a small amount. The amount is not an issue; it’s about starting into investing and making it a habit. If you start early, time is on your side. You need not be a financial wizard to create wealth. But you’ve to learn some important basic, financial, and investment terminologies. It can assist you to make an informed decision. Investing is a risky business. Financial disaster can happen to you if you’re investing using unsound investment principles. Get to know the salient features of stocks, bonds, and mutual funds. You should also learn financial theories such as risk/return trade off, dollar cost averaging, and asset-allocation. A book is an excellent source of information. Yes, do read plenty of money and investing books for example those by highly successful investors such as Warren Buffett. What and why are you investing? Are you saving for a cushy retirement? Are you setting a fund for your child’s college education? All investors are seeking to create wealth. However, each one comes from a differing environment and has specific needs. Establishing a goal serves to figure out the best investment instrument to fit that goal. The safety of investment principal, income, and capital growth are elements to look at. Your best investments will rest on your age, position in life, and other personal factors. For example, a 35-year-old business manager and a 75-year-old widow would likely have diverse needs. Before choosing the suitable investments, identify your risk tolerance. Would a slight decline in your investment value make you nervous? High-risk investments present a greater capacity for profit. Conversely, less risky investments usually give a lower percentage of return. Most aim for the highest return at the lowest risk for their investment portfolio. Growth Investing aim is to invest in the long-term. It won’t make an immediate profit. But when they pay off, the delay is well worth it. Investors believed small-cap companies can give higher returns because of the opportunities for expansion and its agility. But higher returns come with extra risk. Investors of these companies must be comfortable with this. Large-cap companies are more dependable and are thus suitable for the risk-averse investor. These companies have operated for a long time and become the leader of the industry. Returns are lower than small-cap companies but at a lower risk. Specifying the investing style that matches you will aid you when picking out investments you will feel comfortable keeping for the long haul. All investments have costs. But the price you pay for the investment and to whom—is up to you. Costs impact your investment profits. Taken together, fees signify a lot of money out of your account each and every year. Unit trusts, ETFs, shares, bonds, and other investments each have different fee structures. Passive investing (investing for the long haul) has fewer fees than active investing such as trading stocks. Unit trusts charge various management fees, which is the cost of operating the fund, and some funds charge load fees. Your advisor plays a significant multiple roles for an investor. Besides being a platform to learn about investing, an ideal advisor can also act as your lifelong mentor, consultant and guide as your investing capability and strategies developed. What additional services they can offer. You also can opt to go to full-service managed options that provide a large variety of services. It can provide investing competencies and prowess for people who don’t have the time to stay up-to-date on investing matters. Low risks securities such as fixed income securities. It is risky to invest all your money in only one specific share. Reduce your risk by investing in ten shares in ten different companies. The same with investing only in one industry. Less risky to split investment to ten different industries. In investing, fear and greed are the most damaging in your investing journey if not control. Fear or greed can either reduce your profits or magnify your losses. Fear: During a bearish market, investors fear losing or missing out. Fear of loss leads to selling your investments without making a profit. Greed: Appeared during bullish market. Investors become greedy and hold on to a position too long in the hope of an even higher price or often make unplanned trades. Control this two emotions, maintain your focus and not get overwhelmed by illusions. Successful investing requires discipline. Daily market fluctuations should not be an influencing factor in long-term investing. The ultimate aim is making a profit. If your investment kept you in constant worry, reconsider your risk tolerance level. A more conservative investment might be more suitable. Review your established diversification or asset allocation strategy. The diversification weightings changed as the market value of the various investments changed. Change of your asset class mix can be done through re-balancing. For example, the asset class under shares have performed well. The growth or profit can be re-channel to other asset class i.e. bonds. Otherwise, the overall risk may increase above your risk tolerance level. A continuous periodic reviewing and adjusting is key to long-term successful investing. There you have it. 10 tips. Still unsure? Start with tip 7. Contact an advisor. Do you have any other tips you can share? Let us know in the comments below.